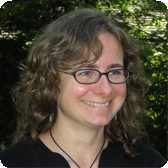 Wendy Call is a freelance writer, editor, and teacher of creative writing. She has written numerous articles for magazines and literary journals, and has translated poetry from Spanish into English. From 2006 to 2008 Call was Writer in Residence at Seattle's Richard Hugo House, the country's third-largest literary center. 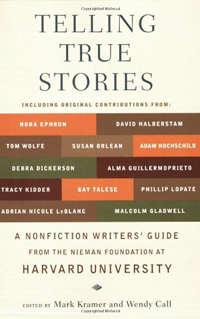 Together with Mark Kramer she is also the editor of Telling True Stories: A Nonfiction Writers' Guide from the Nieman Foundation at Harvard University (2007). The book offers advice by some of the country’s most prominent nonfiction authors. Topics covered range from finding good stories and bringing characters to life, to selling what you have written. Call's newest work, a non-fiction narrative with the title No Word for Welcome is scheduled to be published in 2011. The book explores how economic globalization intersects with village life in southern Mexico. Barbara Lazear Ascher, a fellow author, says of Call's latest work: "Wendy Call writes of global industrialization and makes the reader care. Her characters are sympathetic, their landscape richly described, and their language alive in its quirky, particular richness—a poetry of place." For more information on this author go to http://www.wendycall.com.